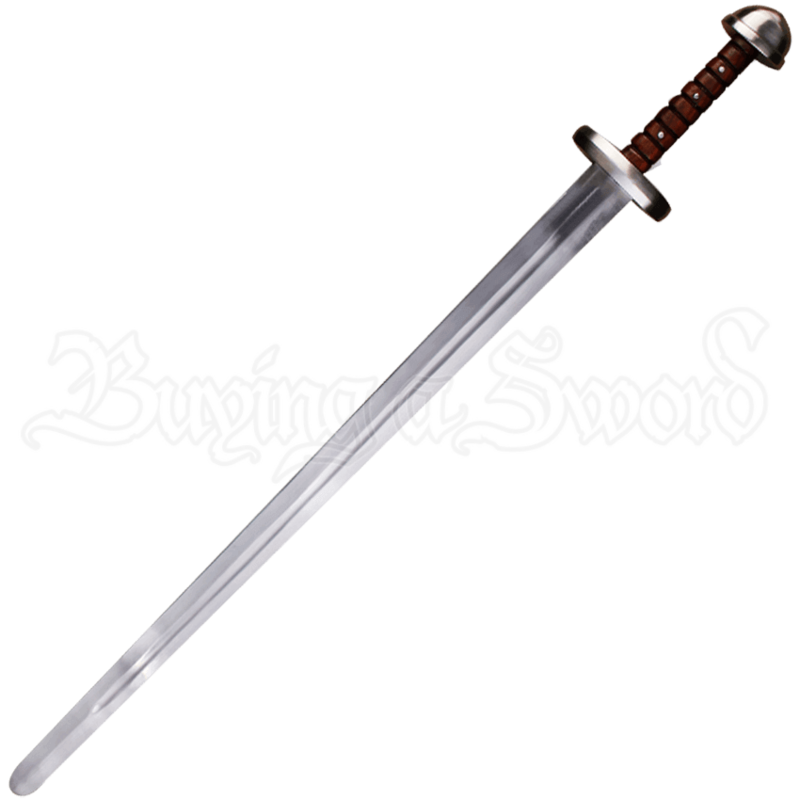 With the Tjure Stage Combat Sword in hand as you charge into battle, you feel no fear. 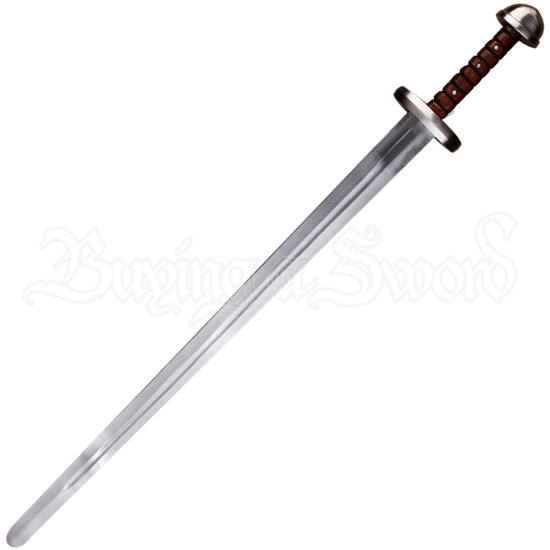 Modeled after historic Viking swords, this realistic stage combat weapon has a blunted blade and rounded tip for safe performance and costume use. While the edges of this Viking blade are blunted, the style of the blade and hilt provide authentic detail. A fuller extends down the length of its high-quality spring steel blade, ending at the short and straight guard. The grip is covered in ridged wood riveted to its construction for a sure hold and subtle, rugged style, and the hilt ends in a rounded half moon-shaped pommel with a peened tang. Any minor notches along the blade are not defects in the combat swords design but are the result of its resistance testing. An ideal stage sword for Viking era battles, the Tjure Stage Combat Sword lends authenticity to productions and historical reenactments, whether it is wielded on stage or accentuates the costume of an ancient Norse warrior.